There are plenty of questions to be asked in terms of teams and where they will fit into the Premier League table as we move into the holiday period. The week 17 fixtures are the last before the franticness of the holiday season kicks off. With Chelsea slipping down the table they face off against fellow relegation embattled Sunderland in a match that could see Chelsea in the bottom four of the table. At the moment just three points separate the two teams along with a five goal swing in goal difference with Chelsea at -8 and Sunderland -13. At one point this season this match would have been all in Chelsea’s favor, but at this point I’m predicting a draw, but one that Chelsea will have to fight for, and I would not be at all surprised to see the Black Cats pick up a win. They do have two points more than the Blues in their last six matches with both teams have four losses while Sunderland has two wins compared to Chelsea’s win and draw. Elsewhere Leicester City travel to Everton in hopes of continuing their fantastic run sitting at the top of both the form table (5-1-0 in their last six) and top of the table with 35 points (two clear of Arsenal). Everton has shown a resurgence following their tepid start, but have managed to only pick up three points in their last three matches with consecutive draws. It’s an interesting season when you look at the number of teams that would normally be looked at as shocking results instead turning the tables into contenders for top ten finishes. Among those include Crystal Palace, Watford, and Stoke. I would include West Ham here too, but they have dropped in the form table following the loss of Dimitri Payet followed by Manuel Lanzini. 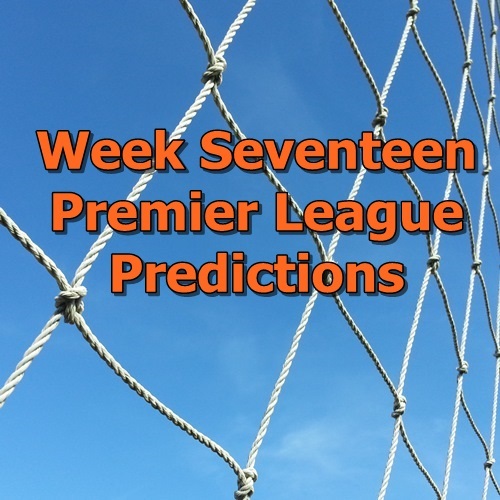 Hopefully these predictions can give you an idea of how to stack your fantasy Premier League team for this weekend, whether you play in the official salary cap game, participate in daily fantasy football, or play in a draft style league.